Why build a new jail? Why does a new jail have to cost so much? How will the County pay for this facility? Why is the County using the former DuPont site? Expanding the current jail is not cost effective. It is a three-story facility, which does not lend itself to efficient expansion. Its current “core” space of kitchen facilities, shower and bathroom facilities, and office space cannot be expanded – new space would be required to meet current Department of Corrections standards. Any expansion of significance would mean the complete overhaul of the plumbing and electrical infrastructure, resulting in the relocation of the existing inmates to other facilities for a lengthy period of time. This would only increase the operational costs and challenges we currently face. Our employees, who work in that jail, 24 hours a day 365 days a year, are working in difficult circumstances. Hallways are narrow, office space is extremely limited, no space is available for inmate education or counseling, and opportunities for family members to visit inmates are extremely curtailed. Our employees must step over and around dozens of inmates sleeping on mattresses on the floor. These issues have been prevalent for at least the past 7-8 years. Correctional facilities must be constructed to the exacting standards dictated by the Commonwealth of Virginia’s Department of Corrections – we have no leeway to deviate from those standards. These standards mandate that 400 square feet per inmate be the minimum size. That does not mean a jail cell is 400 square feet; it means that the size of cells, common areas, kitchens, recreational areas, etc., must be added together, divided by the number of beds, to reach a minimum of 400 square feet per projected inmate. Building to these exact standards is expensive – localities do not have the option to “downsize” or cut corners when it comes to construction. Generally speaking, construction costs have been relatively flat for the past few years. However, costs are increasing and are anticipated to continue that way for the near future. Building correctional facilities will not get cheaper. Modern design also requires enhanced security measures, including better cameras, specialized doors, and more powerful generators. These items are much more costly than in the past. New correctional facilities must be built in such a way to consider today’s issues – mental health cases, increasing male and female populations, educational initiatives to help lower recidivism (repeat offenders), etc. The jail which served the incarcerated in 1974 cannot serve the needs of the inmates or the requirements of the Commonwealth of Virginia today. Our current facility has no dedicated space to provide educational classes, GED initiatives, counseling, etc. Henry County is fiscally conservative. Davenport and Company, LLC, the leader in financial services for localities in Virginia, has called Henry County one of the most financially sound localities in the Commonwealth. We approach things that way precisely for expenditures of this magnitude. We plan to use a portion of our unencumbered balance – our “savings account” – to help pay for the design and construction of the facility. We anticipate borrowing money for construction, with our payback beginning in 2021 and being spread over 30 years. Paying for something of this size, however, cannot be done without enhanced revenue. The Board of Supervisors will consider raising the real estate tax rate and the personal property tax rate for Fiscal Year 2017-2018, with the idea that we will begin to raise revenue now and use it to lower our financing costs prior to 2021. Henry County residents have the third-lowest local tax burden in the Commonwealth – the only localities in the state that take less from their citizens are Lee County and Nottoway County. The Commonwealth of Virginia currently reimburses localities for up to 25% of jail design and construction costs. Our current estimate for a 400-bed facility is approximately $68 million. 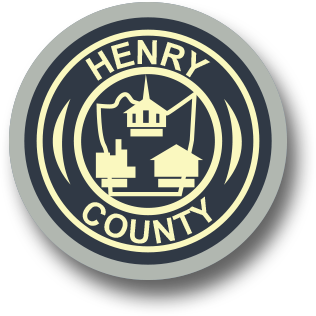 That means Henry County’s share would be approximately $51 million. The Commonwealth used to match up to 50% for regional jails – when three or more localities work together to construct a joint facility. However, that has been reduced to the same 25% rate for local facilities, and there is concern that the General Assembly may eliminate any matching funds in the near future. Even if we still pursued a regional jail, we would need two other localities to partner with us, and we would still incur some costs to keep our current facility open, if the regional facility was in another locality. The DuPont site would re-purpose a portion of an industrial brownfield that has not been used for its original purpose for more than 20 years. It will bring a new, modern feel to the site that will make it welcoming to other businesses and industries wishing to locate on the remainder of the site. Reinvigorating and reinvesting in this property helps protect the environment and reduce blight, and improves the overall marketability of the remainder of the site. By using a vacant industrial site, the County is able to protect valuable greenspace that would have otherwise had to be used to facilitate this project. DuPont is graciously donating a portion of the needed acreage to the County for the new correctional facility. This will minimize the land acquisition costs to the County. In addition, DuPont has addressed previous environmental concerns at the site and the site is acceptable for County use. The DuPont Campus location does not impact any residential areas, protecting the integrity of residential communities in the County and City. The DuPont Campus is located virtually in the middle of the County, making it a practical location for response and transportation to and from the new correctional facility. The DuPont Campus already has adequate utilities to the site including electricity, water and sewer services, and high-speed data services. Henry County’s Department of Public Safety, including training facilities for fire and rescue, and the Piedmont Regional Criminal Justice Training Academy are currently located at the DuPont Campus. Using this location for the new correctional facility would consolidate many public safety components in one campus, creating a synergy among the entities. Even though the DuPont Campus is approximately seven miles from the Courthouse, new technologies and procedural changes will help minimize the impact of having to transport inmates to and from the Courthouse. The Sheriff’s Office and the Board of Supervisors have considered the pros and cons of a new facility for at least five years. No one WANTS to do this – but we have to do it. Our current jail is inadequate and dangerous to staff and inmates. We have no room to work with inmates to help their transition back into society, with education and job training. The best way to lower the inmate population is to make sure an inmate doesn’t keep coming back, and the only way to do that is to help with job skills, educational attainment, and counseling. We cannot do these things in our current facility. Our current staff is at risk every day because of the overcrowding. Their devotion and dedication to their jobs is impressive, but we cannot continue to take advantage of their willingness to serve the public in such a dilapidated facility. If we wait any longer, the price and the requirements will only worsen, as will the working conditions for the employees and the overcrowding for the inmates.